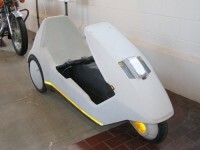 The Sinclair c5 is a 3-wheeled, battery operated vehicle invented by Sir Clive Sinclair. 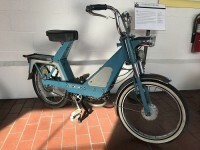 The C5 is a recumbent tricycle steered by handles on either side of the driver’s seat, and it may be either pedaled or battery powered. 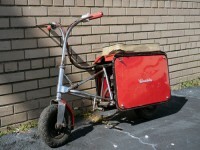 The Hawk Junior 60 is a small snow bike weighing barely 100 lbs., built for kids 5 to 10 years old wishing to move and play in the snow. The seat height is 31”. 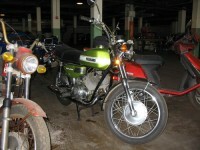 It is fitted with a tuned pipe, silencer, and diaphragm carburetor. 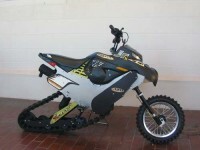 Unique in the world, the Snow Hawk is made from the fusion of three powersports which include the motorcycle, watercraft, and snowmobile. 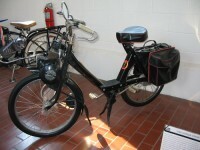 The Solex motor bicycle was built as the result of two French engineers endeavoring to create a better bicycle. 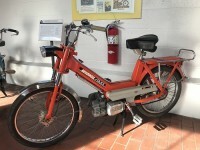 Quite a departure from Solex’s other offerings, the Flash debuted in 1969. 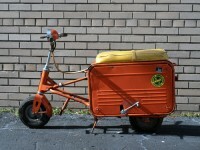 Solex released the Micron, its most diminutive model, at the end of 1967. 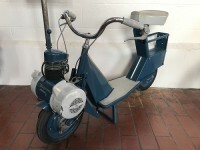 Powered by the engine from the larger 3800 model, the Micron represents a bit of a misstep for the Solex company. 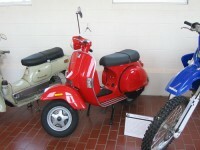 Building on the previous model’s architecture, the Tenor was a Solex 6000 featuring an Italian-made Franco Morini “Gyromat” engine and was available in various trim levels. 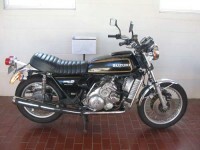 The mid-1980s saw the beginning of the “bullet” bike. 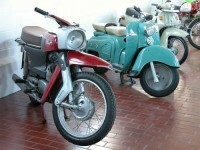 Building on its success in the 1960s with racing two-strokes, Suzuki decided to create a large-capacity multicylinder sports bike for road riders.